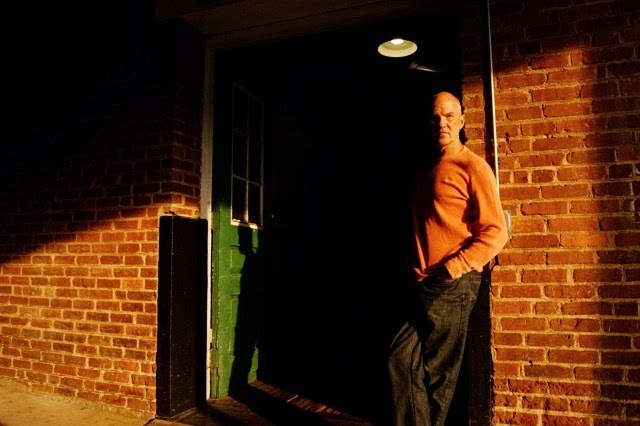 Creston Mapes is the author of the inspirational thrillers Fear Has a Name, Nobody, Dark Star, and Full Tilt. A journalist, copywriter, and editor, he works from his home-office in Atlanta for some of the nation’s top media companies and nationally-recognized corporations. Creston has ghost-written seven non-fiction titles and his early years as a reporter inspire many of his novels. I have written professionally since graduating from college (Bowling Green State University) with a degree in magazine journalism back in 1983. I started learning about the craft and writing fiction/novels in 1999. Yes, I have always written professionally for a living. I began as a newspaper reporter and photographer, then became a corporate copywriter, then a creative director. I went out on my own to become a freelance writer 22 years ago and write for large corporations, colleges and ministries. I’ve also completed six novels and seven non-fiction titles. I would have to say it was when my agent phoned me and asked if I was sitting down—this was in about 2004. We had been shopping one novel and the publisher asked for a 3-book series. This was my first contract and I will never forget that moment. I’d been trying for five years, so the phone call brought tears to my eyes. Also, the moment my first book arrived at my doorstep—that was quite thrilling. Same as when I saw my novel in stores for the first time. Nothing quite like that feeling of accomplishment—because such an extensive amount of work goes into each book. That is a tough one. For me, this has been quite a solitary journey. I guess my biggest supporters would be my family, several close friends, and the agents and publishers I’ve had the honor of working with—and my fans. But again, so much of this journey is simply work done alone. It requires a great deal of fortitude, faith, discipline—and tough skin. 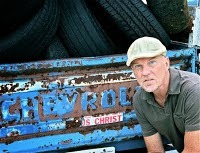 I was not a Christian until I was almost 30, so I have a lot of experience living life on both sides of the fence. So, in my novels, I can write realistically from an unbeliever’s viewpoint and from a believer’s viewpoint. I drank a lot back then, experimented with drugs, did a lot of dark things—therefore, I can write about such things with emotion and accuracy. My books throw the reader in the middle of thrilling circumstances, which are lived out by both believers and unbelievers. Hopefully, the stories are thrilling and thought-provoking for any fiction lover. I always thought I would make a good Realtor, because I like people and would enjoy listening to them and helping them find just the right home. Although I know I wouldn’t like the hours! 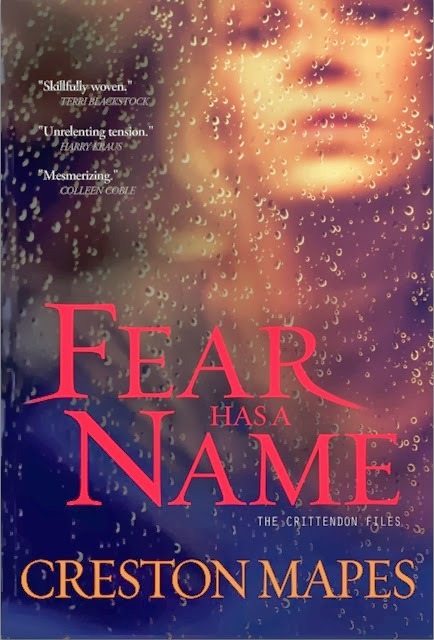 Fear Has a Name is a thought-provoking thriller about Trenton City Dispatch reporter Jack Crittendon, who is working on a story about a pastor who has disappeared, leaving his family and church to take his own life. At the same time, it is the tale of a man named Granger Meade, who was bullied as a boy and unwanted by his religious zealot parents. When Granger sets out to find the only person who ever cared about him, he finds her happily married to no other than newspaper reporter Jack Crittendon. As a kid, I always hated bullies. I guess I may have been bullied a little at times, but many kids got it much worse. I’ve always had sympathy for the underdog, kids who were overweight, extra shy, or not physically attractive by the world’s standards—and those who were bullied. This book takes a close look at the life of a man who was bullied and unwanted. Although Granger Meade is the clear antagonist in the story, I try to give the reader a glimpse of his life, his youth, and why he turned out he way he has—which is very bad and dangerous, indeed. There are several things. 1) Try not to judge a person until you’ve worn his or her shoes; 2) Bad, difficult, trying, unthinkable circumstances DO happen to Christians; 3) Fear is a part of life, but God wants us to throw all of our worries onto him, even those unthinkable trials; 4) No one is beyond God’s reach. Let’s put it this way, my favorite character to create and write about was the antagonist, Granger Meade. He was bullied terribly as a boy and unwanted by his parents. Although he does some dastardly things, I wanted to create sympathy for him, because of the way in which he was raised. Probably Andrew Satterfield, an associate pastor and germ-freak who wants to oust lead pastor Evan McDaniel, because the latter struggles with dark bouts of depression. In fact, it is Satterfield’s disapproval of Evan that ultimately contributes to the pastor taking a large quantity of medication with him in order to take his own life. I’m really excited, because we are just putting finishing touches on books two and three in this series. Poison Town releases Feb. 1, 2014, and Sky Zone releases June 1, 2014. Each book involved reporter Jack Crittendon and his family, colleagues, and friends. So we have been working long and hard on getting this 3-book series ready to launch book-after-book, right in a row, in order to satisfy our hungry readers! My goal is to become one of the top-selling fiction writers in the business. But I take it a day at a time and try to see what God wants me to do next. If I quit with six novels, I would be very happy with that. I’ve seen most of our great country, but have not been to the Pacific Northwest. I have always had a longing to visit Portland and Seattle, and also Canada. My book Nobody has been optioned as a major motion picture. I would love to see my novels make their way to the big screen—with quality. S.S: What is the silliest thing you have ever done? I accidentally drank from a communion cup in which you were only supposed to dip. It was my most embarrassing moment, by a long shot. Starting my own freelance writing business 22 years ago was a big step of faith. Writing each of my six novels has also been monumental, because writing fiction doesn’t come easy for me. Just that I am glad to be here and appreciate it very much. Readers, give any of my books five pages and I hope you will be sufficiently quarantined. Blessings gang. 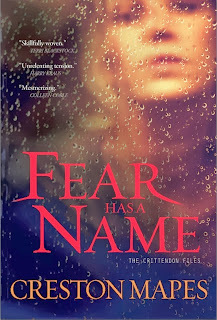 If you'd like to win a copy of Creston's book, Fear Has a Name, leave a comment. We'll draw a winner on Monday! Fear Has A Name sounds like a wonderful. Ups and downs, twists and turns....I am hooked! I would love to be a winner of this one. Thank you for the opportunity. What a wonderful interview! Thank you, Creston, for sharing about yourself and your writing journey. I am intrigued by FEAR HAS A NAME and look forward to reading this thrilling book. Thank you for the opportunity to win a copy! I love to read mysteries, thrillers and suspense novels and would love to win one of your books. Thanks to each of you for dropping by and taking an interest in my books. I hope you win the drawing! Have a great weekend. The book Fear Has A Name sounds like one that would be a great read. I will have to add your books to my To Be Read pile. Thank you for the interview. Love reading how authors think and feel. rackylemaire(at)gmail(dot)com. I have not read any books by Creston.....thanks for the chance! Sounds like a great book! This sounds like such a great book. Thanks for the giveaway! This sounds like a book I'd like to read...very soon. I'm looking forward to doing so as soon as I can pick up a copy. Great interview. Sounds like a real tip of your seat book. I would love to win it. Thanks for the chance. That's what makes Christian lit stand out - an antagonist you can understand if not condone. I love good Christian suspense (love a good Christian murder! haha). I've never heard of Creston Mapes but would love to give his book a try! Love a chance to win a book. I would love a chance to read this book. What an intriguing cover! Creston, I've read the book and enjoyed it very much. I'm looking forward to book two! I've never read any of Creston's books. Fear Has a Name sounds absolutely fabulous. I would love to win a copy of it. I hope to read your book. This sounds good. I liked that you wanted to create sympathy for the bad guy. We all have a story and it takes every bit of our past to make us who we are. I look forward to reading it and any more books you write. Sounds like a great book, would love to win it. I started looking at your work based on recommendations by writer Mark Mynheir, I look forward to reading your books. Sounds like a great book! It would be awesome to win it! Sounds like an interesting book, would love to win. I almost missed out on this. So glad I didn't. It has been some time since I read one of your books. I haven't had the chance to read your work yet, but it definitely sounds like books I would love to read. Thank you for sharing about your writing journey. Hey all…this was a great turn out. Thanks for having me Suspense Sisters! Also, all best to the winner….and those who didn't win, check out my books. I think you'll enjoy them…from page one! Thanks again. Ideas and themes and topics, oh my!